You can use Stampin' Up! 's Envelope Punch Board (133774 $19.95) to make this basket for Easter or other occasions when you want your friends to ooh and aah about how crafty you are! As promised, this is Part 2 of my Punch Art Easter Bunny Basket. While Part 1 shows you how to make the Easter Bunny, this post will focus on making the basket. Have you ever tried to copy something, goofed it up and then ended up with your very own original design? At our last demonstrator swap, Christi Beck made a cute Easter basket. When she said that it only took a 6 x 6" piece of designer series paper, I knew I had to try it. Silly me, I thought that I could measure her basket and figure out where to punch and score. Wrong! Thankfully, the basket I made worked out, so yippee skippee. I had a pottery instructor who called it "serendipity" when you accidentally created something that you really liked even though it wasn't what you originally had in mind. LOL! For this basket, you might find it easier to follow the video. However, if you have made these types of baskets before, here are the measurements. Start with a 6 x 6" piece of designer series paper. Punch and score on the first side at 1 1/4" and 3 3/4". Follow the score marks to punch and score on the remaining 3 sides. Round all 4 corners. 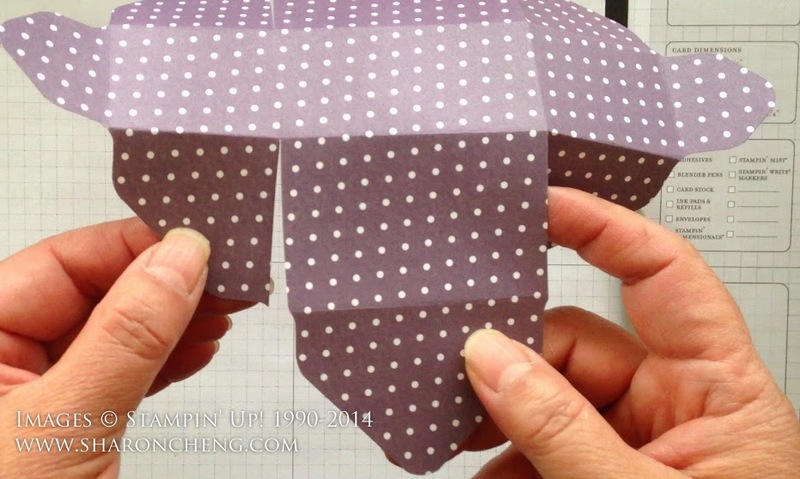 Cut to the fold on both sides of the wide tabs. Use the small oval punch (120908 $12.95) to make the handles. 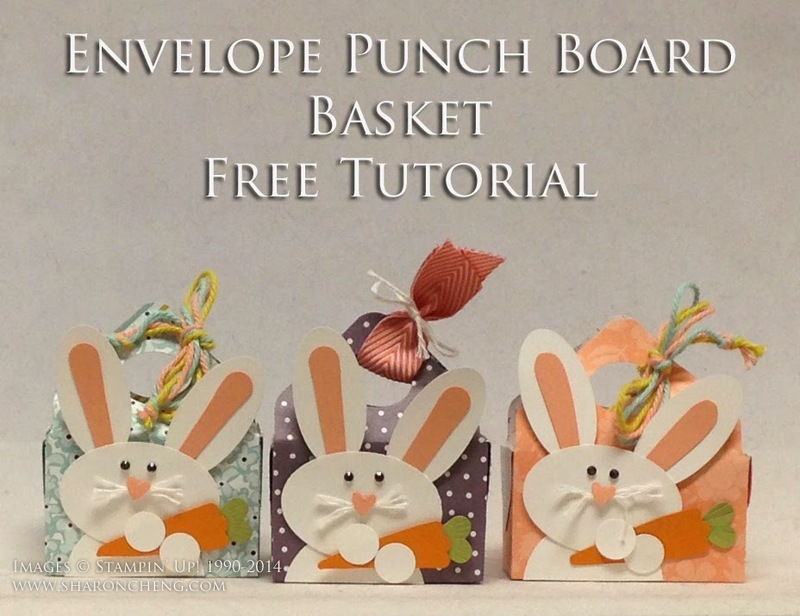 Attach the Punch Art Easter Bunny or any other embellishments while the basket is still flat. Then adhere to form the basket. This is where it might be easier to watch the video. 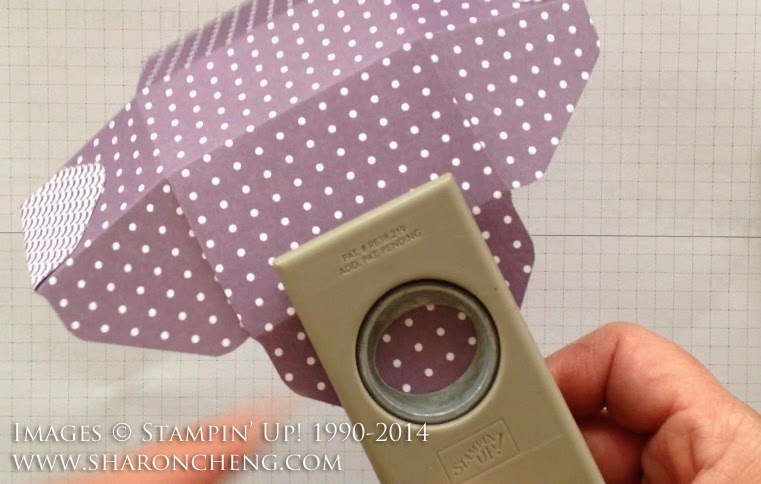 I'll be posting other videos with different ways to use Stampin' Up! 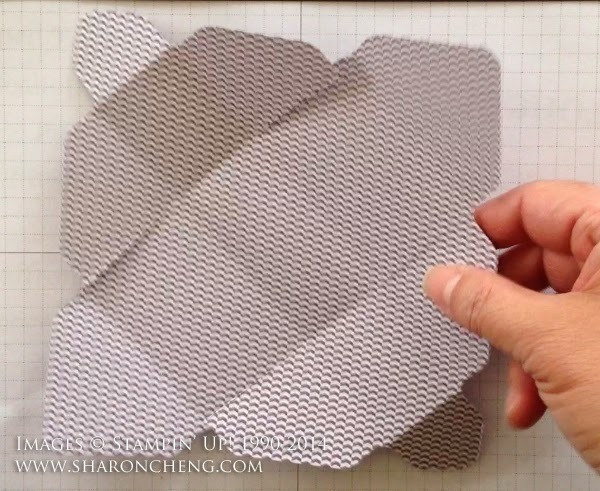 's Envelope Punch Board. Subscribe to my YouTube Channel to catch the Envelope Punch Board series as the new videos are finished. You'll impress your friends with how many things you can make with this one tool.